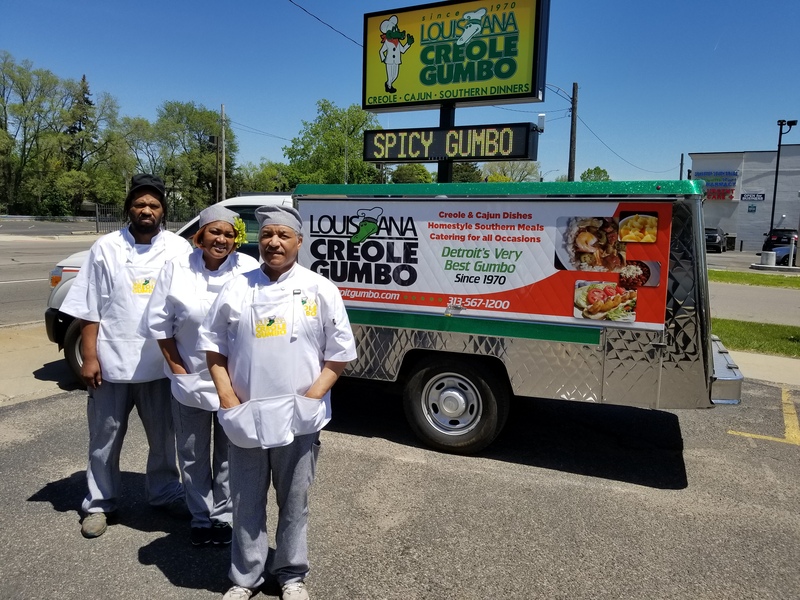 Louisiana Creole Gumbo Mobile food trucks are on the road! Featuring the best of our famous menu, including Red Beans & Rice, delicious Jambalaya’s, authentic Creole’s and Gumbo’s, plus Southern favorites like BBQ Chicken, Homestyle Meatloaf, Mac & Cheese, Collard Greens and more. 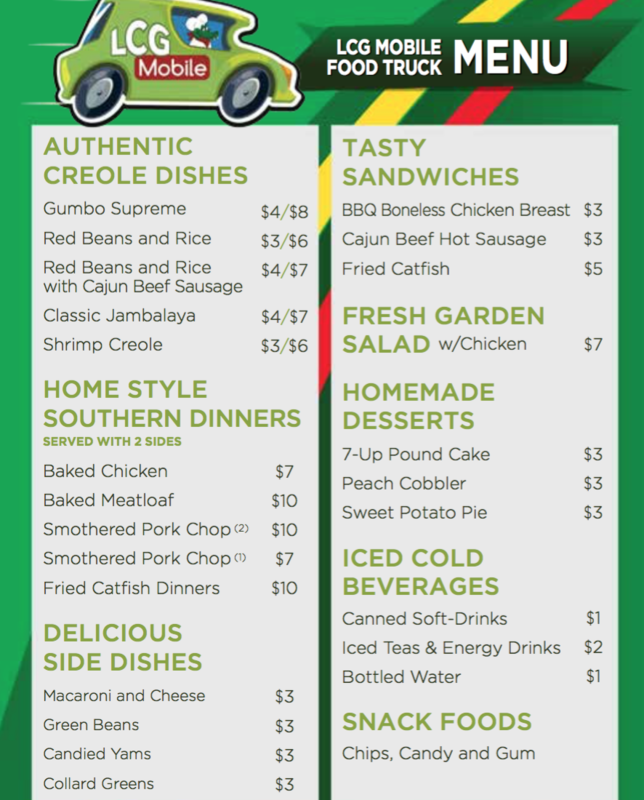 Ready to have the Louisiana Creole Gumbo Trucks at your next lunch or work event? Give Dave a call at 313-445-6006 for more information or to reserve your spot, today!